How to add folder & applications to My Computer window? Do you want to add a specific folder to My Computer window for quick and easy access? Shedko Folder2MyPC is a small application that allows placing of any folder or application directly in My Computer and / or Control Panel Window. This will allow quick access to your favorite folders and applications in less number of clicks. You can customize different aspects while adding direct access links of folders and applications. For example, you can customize if folder will open in same or new window. 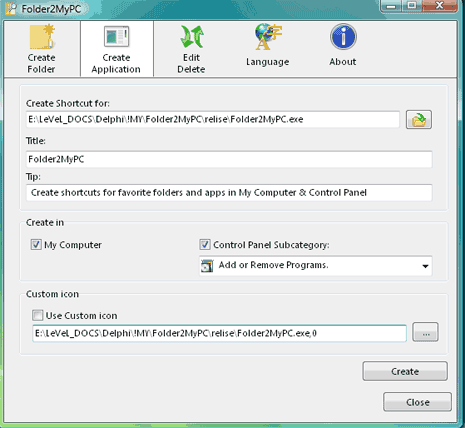 You can also select specific computer user or all users to have access to newly created folder or application access icon. It has easy to use interface window with lot of options for customization. Download Shedko Folder2MyPC, there is different version of software for Vista & XP users – check it before you download.